Mr. Rehan Salim is Head of Specialty for Reproductive Medicine. 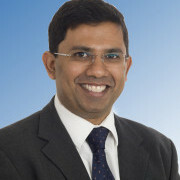 He leads The Wolfson Fertility Centre, Imperial College Healthcare Trust’s IVF Unit – based at Hammersmith Hospital. The centre was established by Professor, The Lord Robert Winston in 1982, and is renowned for the first in vitro fertilisation (IVF) birth in London.The unit offers both NHS and Private treatment cycles, and is one of the largest fertility services in the UK. The service specializes in complex fertility cases and consistently achieves outstanding pregnancy rates. Mr. Salim is consultant gynecologist and subspecialist in reproductive medicine. He graduated in medicine from St Andrews University and King's College, London and trained as a subspecialist in reproductive medicine at University College London Hospital. He was then appointed as consultant at UCLH where he led the reproductive medicine unit, developing the NHS IVF service. He was recruited by Johns Hopkins International in 2012 to set up and run the IVF centre at Corniche Hospital in Abu Dhabi, the largest women's hospital in United Arab Emirates, which he did until his return to the UK to take up his appointment at Imperial College Healthcare in July 2014. He has extensive experience in IVF and provides a highly individualized approach to patients, tailor making protocols to achieve the highest pregnancy rates. An area of particular interest is patients who have had previous failed fertility treatment or who are considered poor responders to IVF treatment. Mr Salim also has a special interest and extensive experience in reproductive surgery and is able to perform most surgical procedures via minimal access techniques (laparoscopy or hysteroscopy) including myomectomies and excision of endometriosis.